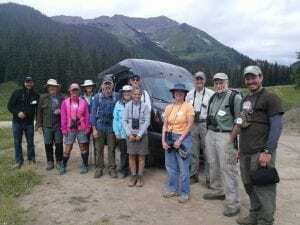 RMBL Marmot Club members are committed to RMBL’s mission to support field research and education and support RMBL with an annual unrestricted gift of $5,000 or more. Our 50+ Marmot Club members are RMBL’s core supporters who help ensure that RMBL is one of the nation’s leading scientific institutions. The Marmot Club is a great way to support RMBL and get involved in the community. By supporting RMBL, you are helping sustain one of the Gunnison Valley’s oldest nonprofits and one of the nation’s most prominent field stations. 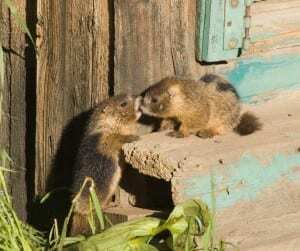 Marmot Club donations are eligible for Colorado tax credits. RMBL is eligible under the guidelines of the Colorado Economic Development Commission for Enterprise Zone Tax Credits for cash or in kind donations made to the organization. This means that in addition to the standard deductions that donors are already eligible to claim on Federal and State returns, individuals donating $250 or more and paying Colorado income tax may be eligible for a 25% tax credit on their Colorado State Income Tax Return. Marmot Club members receive access to exclusive events and opportunities that are not offered to the general public.